I don’t remember if I have ever mentioned my high school buddy, M. We went to high school together and even though we went to separate universities, we still kept in touch and remain good friends. We didn’t need to see or speak to each other every day. I have known her for almost two decades now (my gawd I feel old!) and she is still one of the funniest person I know! Life would certainly be dull without her! We try to catch up at least once a fortnight (now that I am in Hong Kong!) but that doesn’t always happen, as we are both busy bees. I caught up with her one lunch time and had lunch at Tsui Wah, one of Hong Kong’s best, busiest, quick service restaurants. It offers good food at reasonable prices. We went to the Causeway Bay branch, and it won the ‘best restaurant in Causeway Bay’ (see winners here). I was craving Hainan Chicken, partly because I haven’t had any in such a long time (!) and that I was missing Mum’s Hainan! 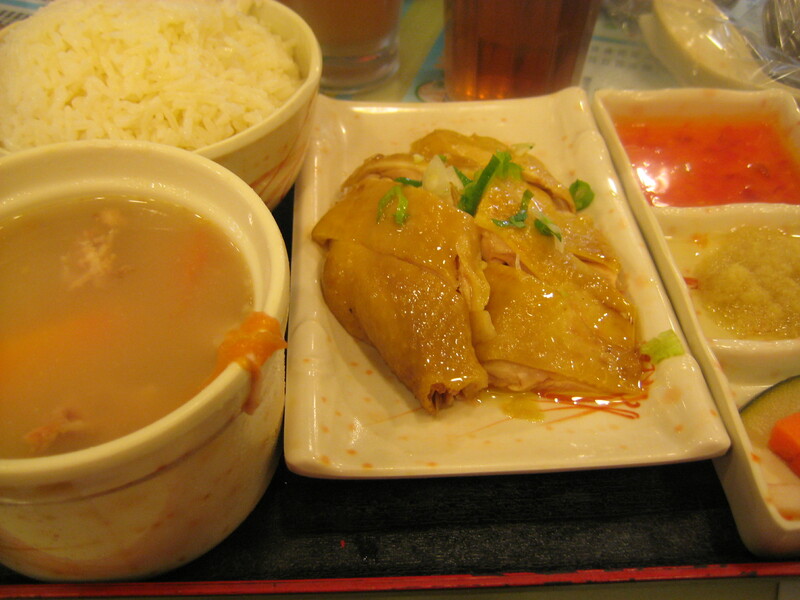 It was a Hainan Chicken set lunch, which consists of soup, chicken and rice. The pork soup was full of flavour, the chicken tender and the sauces were a great compliment. Unfortunately, the rice was not chicken rice. I was ‘secretly’ hoping that it would be, alas, no! Regardless, it was pretty good. Is it the best Hainan chicken I have had, probably not, close though, as you can’t beat those Singaporean Hainan chicken! 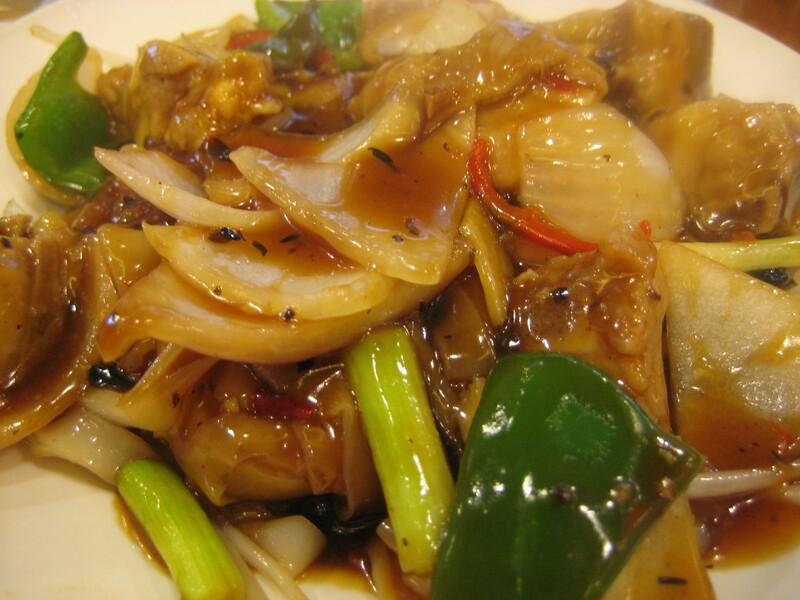 My friend, M, ordered the pork chung fun (pork rice noodles stir fry). We both thought it was a little salty, however, the chung fun was soft and the pork tender. If it wasn’t so salty, I think it would definitely be better! This place was busy and buzzing! We didn’t have to wait long, 2 mins max, as turnover was extremely quick. The menu is extensive; you can get things like fish dumplings, fish balls, pork cartilage noodles soup, satay beef slices with noodles, or curry with rice. The best thing is their sugary glass of condensed milk tea or a glass of mix milky coffee and tea. I completed my meal with a cold glass of milk tea… heavenly. Content and happy, we sat there for a bit chatting and catching up. Apparently Tsui Wah is a great place for celebrity spotting, sadly, I have not spotted any celebrities! I’ve definitely never heard of Tsui Wah as being a celebrity spotting sight.. and definitely haven’t seen one during my many visits there. One thing’s for sure though.. nothing hits the spot like 2am Tsui Wah! my friends has seen a couple of celebrities at Tsui Wah but i would say they are either B or C grade actors / actresses! I havent seen them at all. but i agree.. its great at 2am!